Man of Steel has just crossed the $500 Million mark, making it the second most successful movie of 2013 behind Iron Man 3. 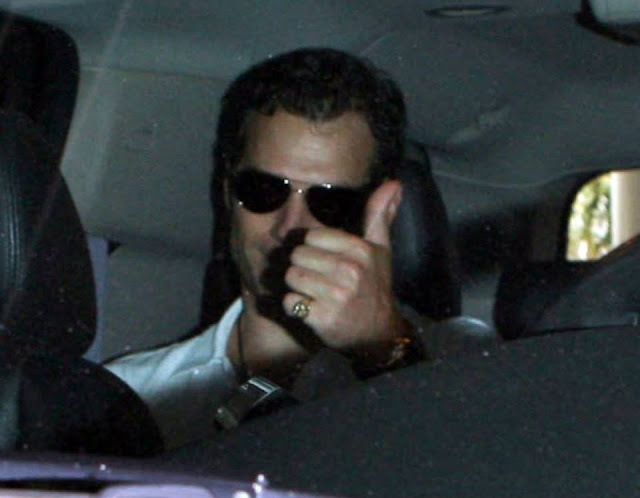 Henry is finally enjoying the worldwide success he's worked so hard to achieve, and it couldn't have happened to a nicer person. 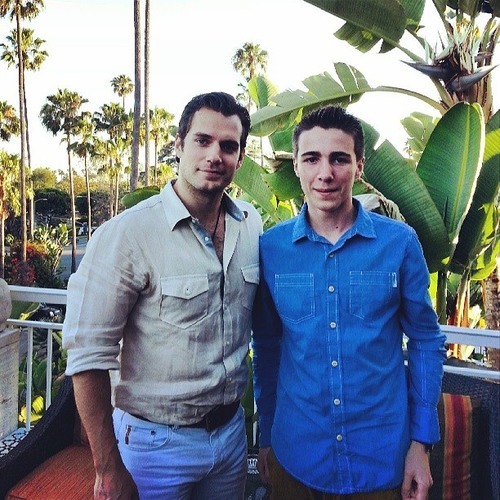 During the Man of Steel promo tour, a few interviews came out that really highlight just what a great guy Henry has always been. 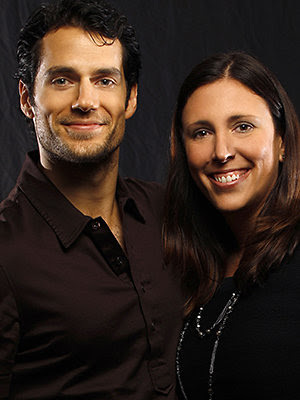 They include Gianna's great story about Henry's connection with her dog Buddy. It's really a heartwarming account you don't want to miss. Read now. 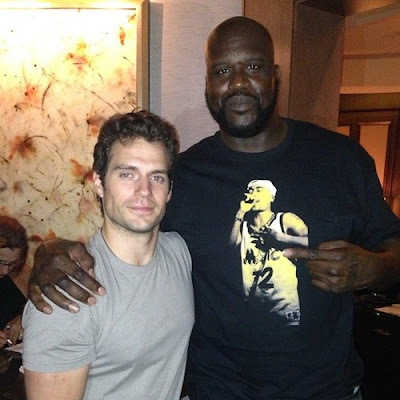 This next story involves the Man of Steel scene that everyone is talking about. 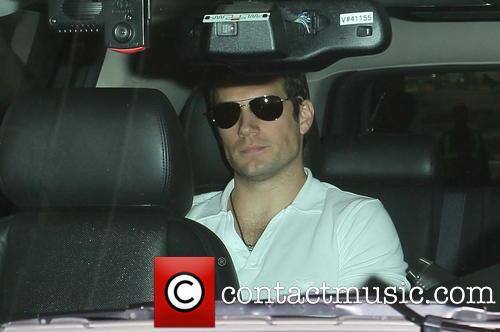 Madison was smack in the middle of that scene, and got to work with Henry because of it. She recently shared details of her experience. You can read more here. 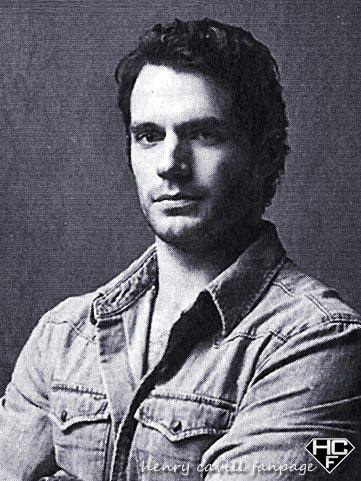 “The Biggest Change Wasn't Physical, He Changed His Attitude"
Twight also reveals Henry went through severe mood swings, but stuck to his guns to achieve success. The article is a must read. Check out the rest at The New York Daily News. 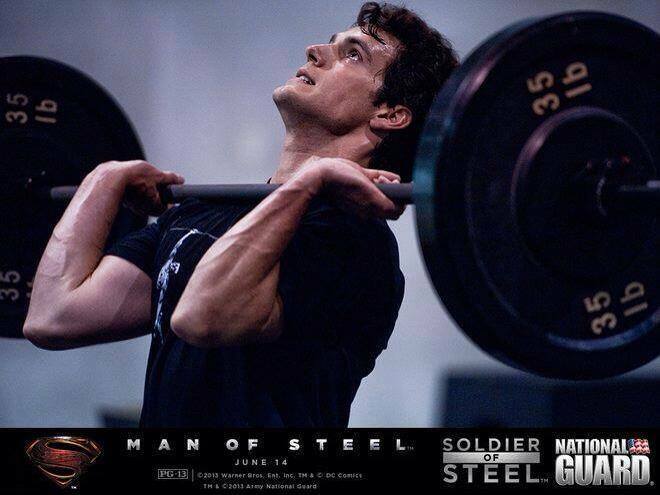 And don't miss our exclusive shirtless HQ pics from the set of Man of Steel & much more on Henry's training. Cinema Magazine: (Germany//July 2013 Issue) via HC fanpage. 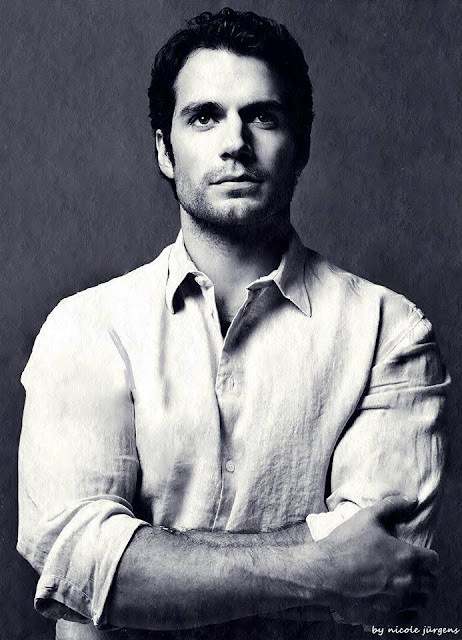 Cinema Magazine: (Germany//April 2013 Issue) See the rest. 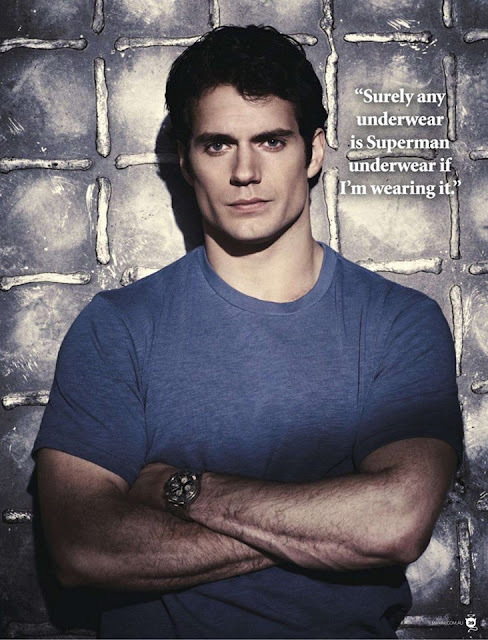 Maxim (Australia July 2013 issue) Read his interview. 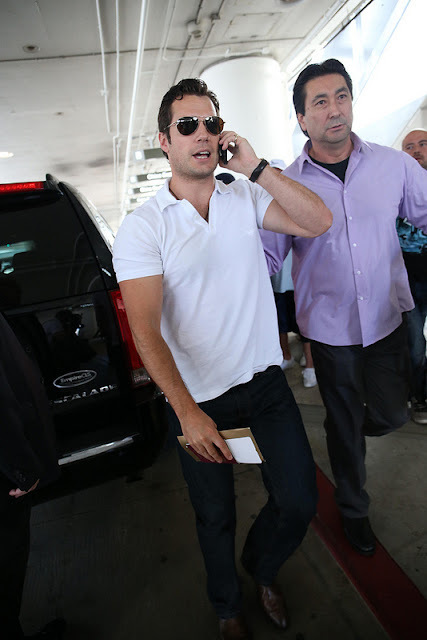 Guess who's been hanging out on Rodeo Drive? - you can tell he's well prepared for the record breaking temps we've been having by wearing his signature Aviators and cap. Lucky fanboy! 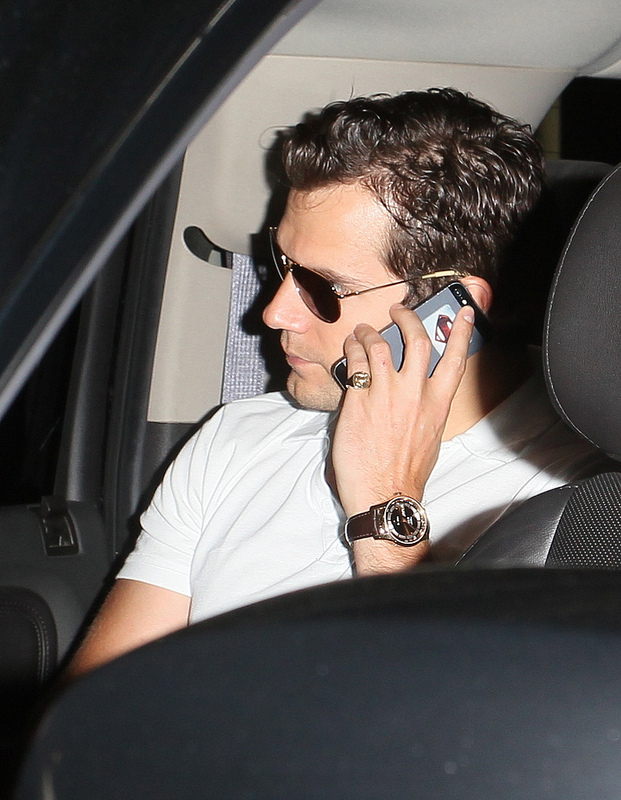 Add EXTRA host Maria Menounos, to the growing list of supporters who think Henry would be perfect for the role of Christian Grey. While we completely agree, we can pretty much tell you it's not happening. ¿Qué nos puede decir de los rumores que le vinculan al proyecto sobre “50 sombras de Grey”? Una cosa es un libro y puede ser el libro más maravilloso del mundo, y otra cosa es hablar con el director y ver un guión. Todavía no he visto ningún guión ni he hablado con ningún director y claro las cosas pueden cambiar mucho de un libro. Si me dieran un guión para leer y hablara con un director entonces lo pensaría. 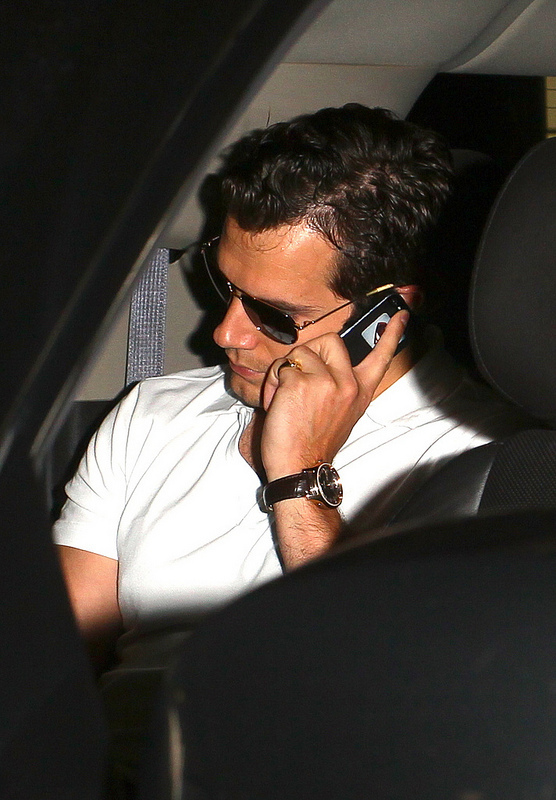 What can you tell us about the rumors that link you to the Fifty Shades of Grey project? One thing is a book and it could be the most marvelous book in the world, and another thing is to talk with the director and see a script. I still haven't seen a script, or talked to any director, and of course things could change a lot from a book. If they gave me a script to read and I spoke to a director then I'd think about it. 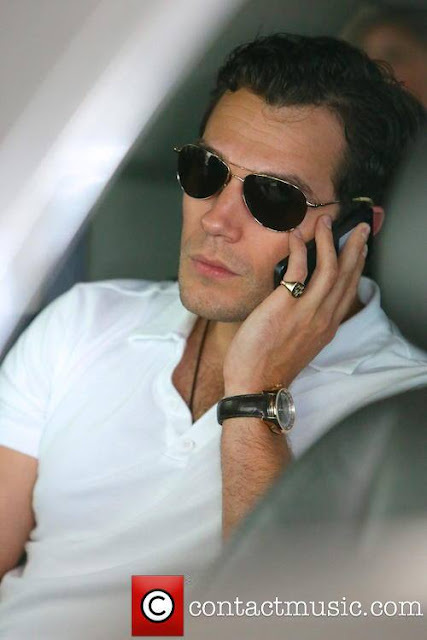 Despite the buzz, even his publicist admitted to Hollyscoop they haven't been approached for the role. (2:30) love the commentary btw.. 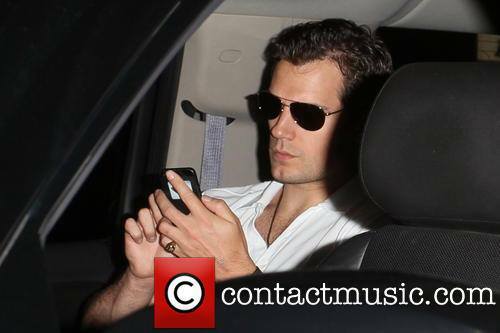 But really the main reason we know Henry is not in the running, is the fact that his next project The Man from U.N.C.L.E. starts filming in September (Yay!). With Fifty Shades of Grey filming in the fall, you see the scheduling glitch EVEN if all parties were interested. 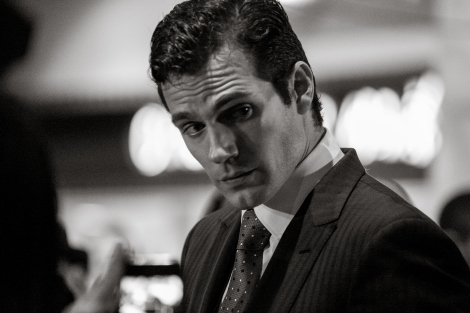 While we would have loved to see Henry play Christian Grey, we're really excited to watch him become American spy Napoleon Solo in The Man from U.N.C.L.E. - his costar Armie Hammer revealed we may even get the funny side of Henry. We can't wait! 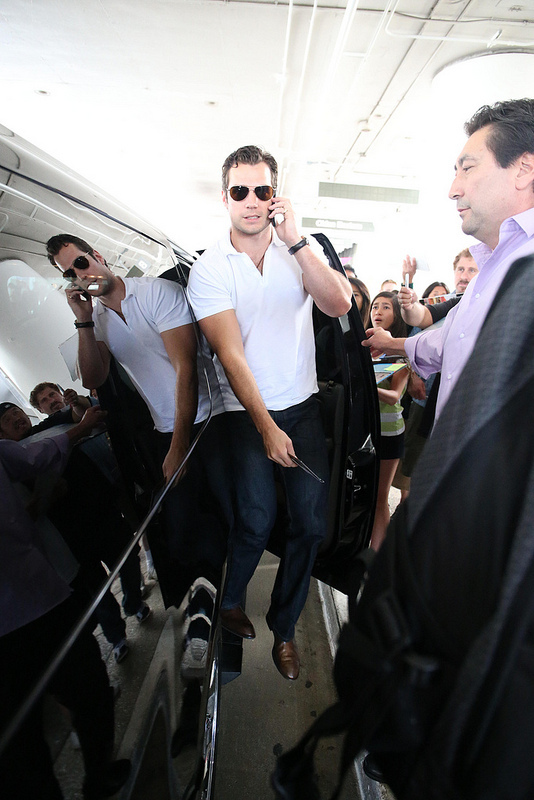 Armie Hammer: Henry Cavill "Adds Different Twist" To The Man From U.N.C.L.E. Henry's new costar in The Man from U.N.C.L.E. 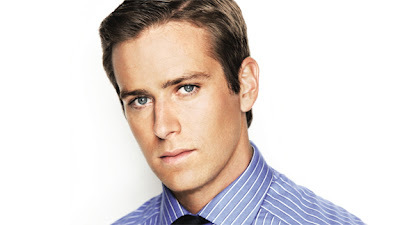 Armie Hammer, recently chatted with the Inquirer while promoting The Lone Ranger. But Armie was also happy to share his excitement about working with Henry, his research for the role, and spilled details on.. a funny script? we can't wait! 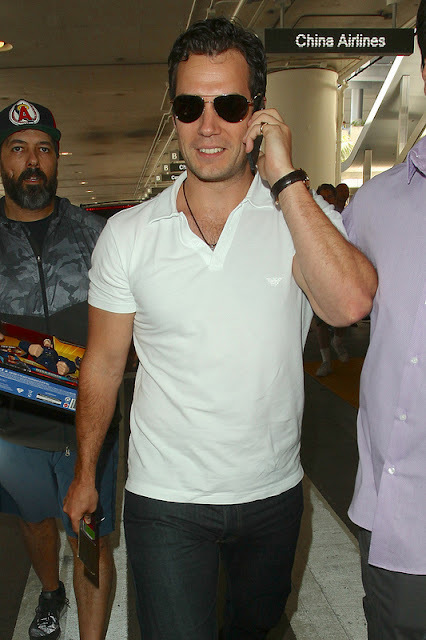 If “Man of Steel” and “The Lone Ranger” work together, what do you get? “The Man from U.N.C.L.E.” Henry Cavill and Armie Hammer, two of the hottest Hollywood male stars today, are teaming up in Guy Ritchie’s movie version of the classic 1960s spy TV series that starred Robert Vaughn and David McCallum as evil-fighting agents. Armie plays David’s character, Illya Kuryakin, a Russian spy. 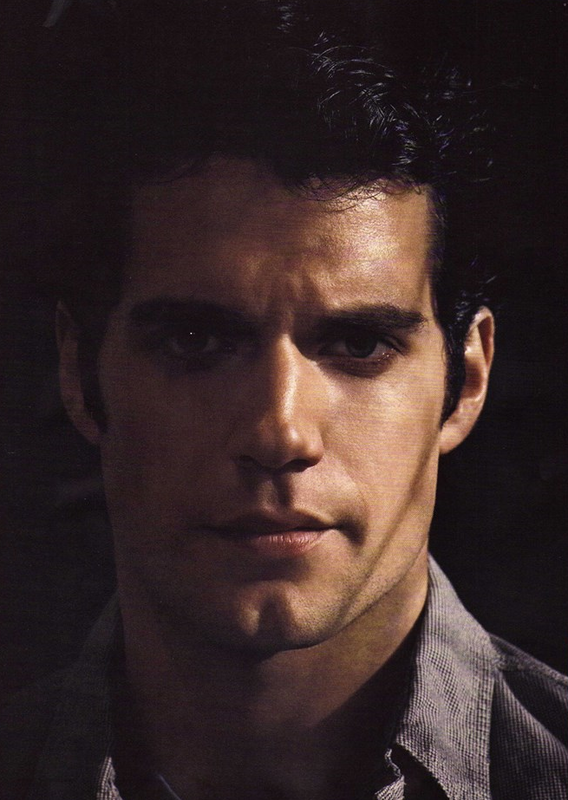 Henry landed Robert’s role, Napoleon Solo, after Tom Cruise gave up the part due to a shooting-schedule conflict. “I would have loved to work with Tom, but at the same time, I’m also excited to do it with Henry, because it adds a different twist to the movie,” Armie said in a recent interview in Santa Fe, New Mexico. You can read the rest at Inquirer (thanks for the tip Gabi). 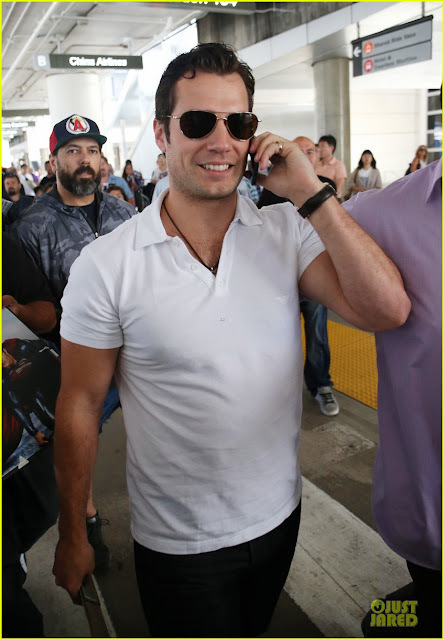 We will tell you that while Armie said production starts in August, Henry mentioned during his promo stop in Jersey that filming was set for September, which is what we've heard. 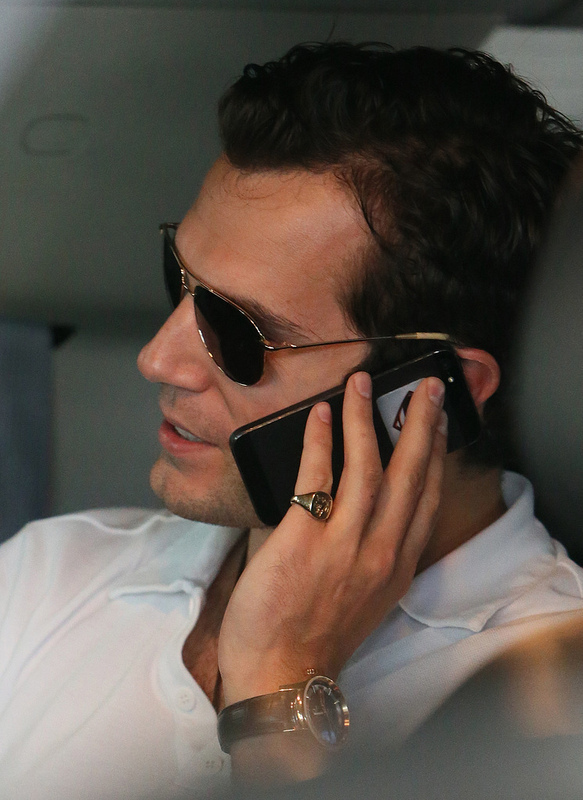 Armie also mentioned "working with Superman" during his interview with Australia's The Project (5:15). Here's some of the info we gathered on the original series and the film when it was first announced. 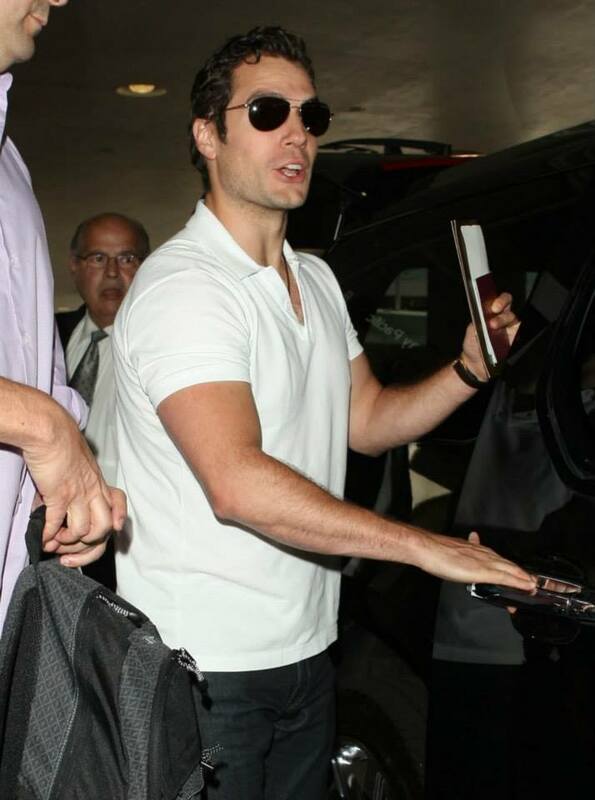 We'll be following news on The Man from U.N.C.L.E. closely, and will bring you the very latest as we get it. Not sure when/where this pic was taken, Apparently Shaq caught up with Henry in Beverly Hills. Fun to see two greats hanging out. Love it! 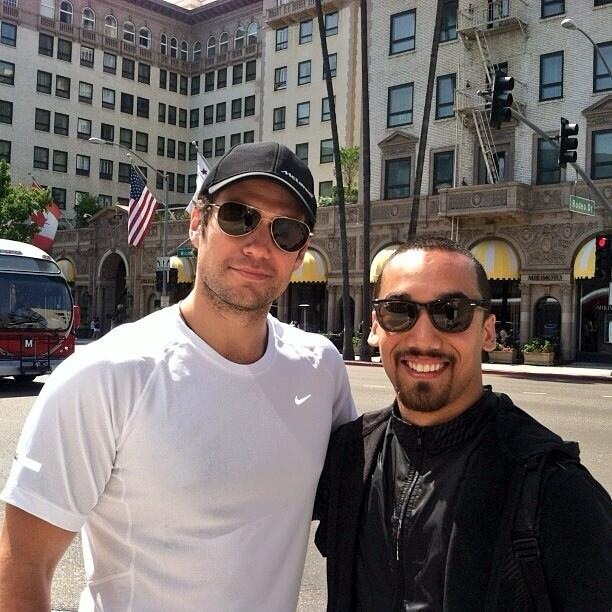 ﻿Henry just arrived back in L.A., and already we have these great new fan pics from Beverly Hills. Looking good! 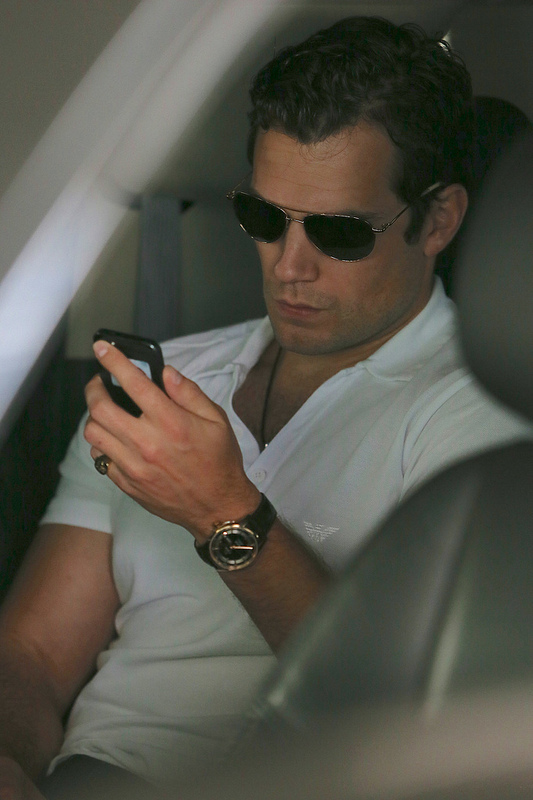 The Man of Steel promo tour has provided us with some gorgeous shots of Henry. Megan was at the Sydney premiere a few days ago, and captured some beautiful candid moments. She also exclusively shared details with us about her experience. 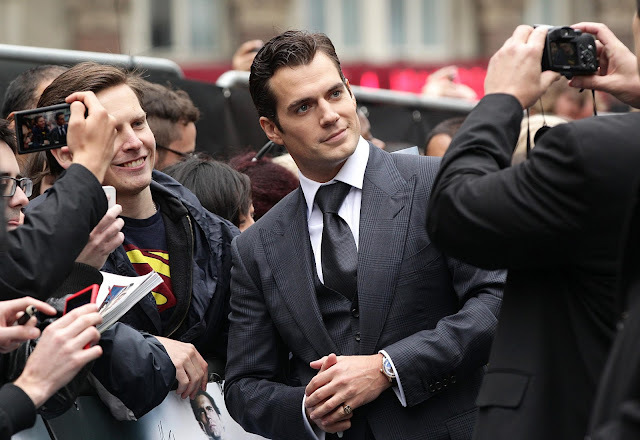 I'm an (aspiring) photographer and I've really liked Henry Cavill for a long time, so as soon as I heard there was going to be a premiere here I knew I wanted to go and try to take photos. 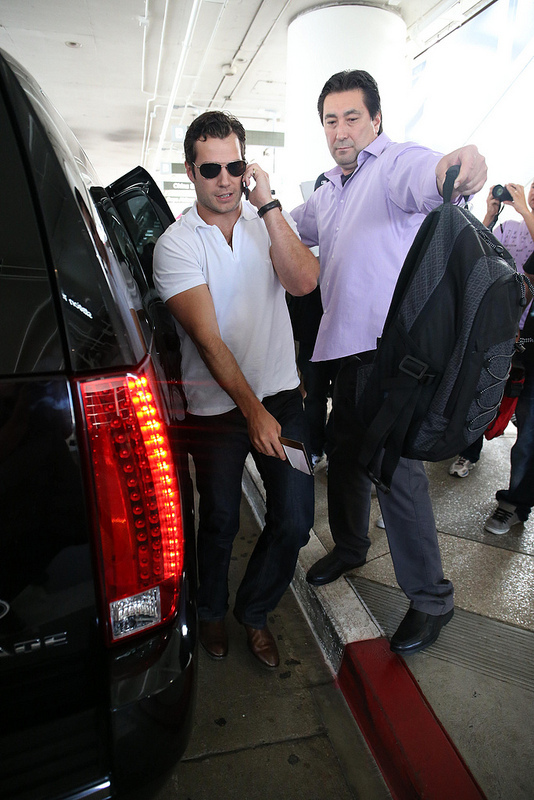 I took along my Mum, who is a huge Henry Cavill fan (she didn't need much convincing either). I have never shot a premiere before, so I had no idea what to expect. I ended up in a position right near where the actors entered. Surprisingly, when Henry entered no one noticed at first. 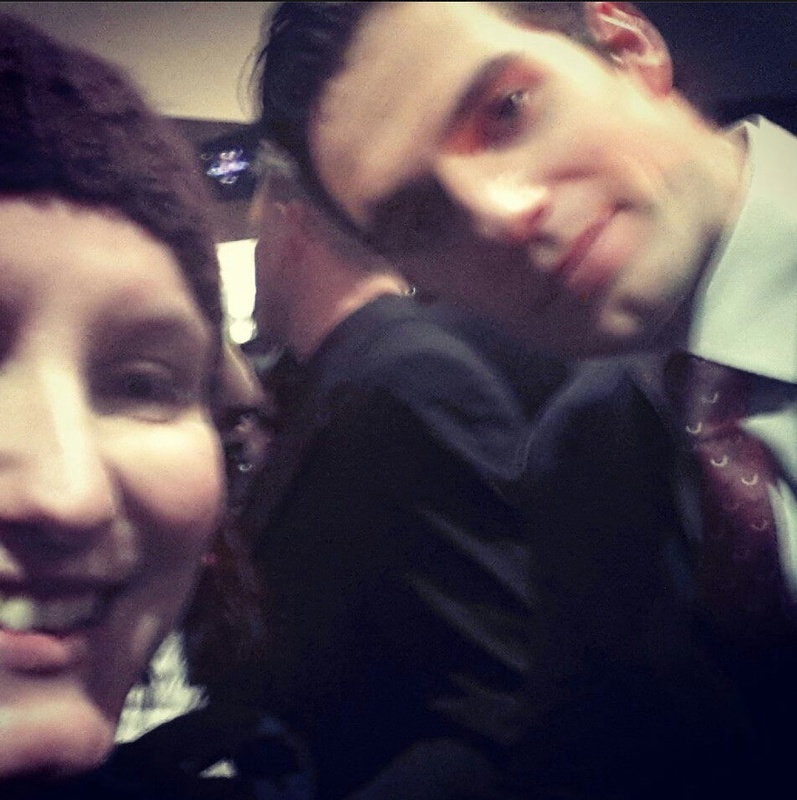 He walked past me and I said "hey, Henry" and smiled, and he looked over and gave me a smile and said "hello". So that was a nice start! Then as more people saw him they started calling out for photos etc, and he said "I'll come back!" and went over to do all his press interviews. Sure enough, just as promised, he came back over to take photos and sign for everyone along the barricades. 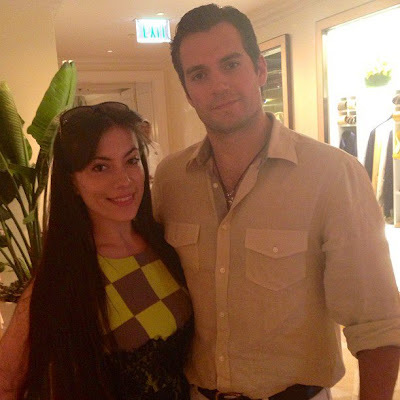 Of course he is beautiful - even more so in real life - but what struck me was how patient and humble and sweet he was. He tried to get to as many people as possible. People were yelling his name and reaching over to him and it didn't seem to faze him. I knew this was the last stop in a long press junket too, but he didn't look or act like he was exhausted, although he must have been. He gave everyone his undivided attention. My Mum was standing on the opposite side to me, and said when he came over he held her hand and she said "Inspector Lynley, Well Schooled In Murder?" and he beamed and held his hand on his heart and said "thank you!". He held her hand for a while too, so she has very good bragging rights at the moment. He finally came back to where I was standing, and I did get a photo with him. My hand was trembling so bad holding up my phone (so embarrassing!) and after I took the photo he kind of gave me a smile as if he saw that. See what I mean? Such a sweet man. The thing I heard people say the most that night was "this guy will go really, really far" and I have no doubt about that. So I am very, very grateful I got the chance to both photograph him and have my photo taken with him. 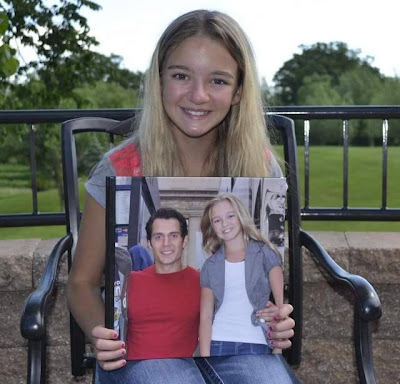 Check out even more of Megan's story on her blog. Thank you so much for supporting Henry, and sharing your awesome experience with those of us who couldn't be there. This video just shows how nice Henry really is.. even with photographers. 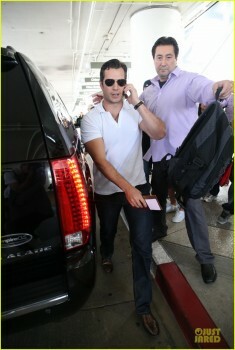 TMZ had a breakdown during their show about Henry's arrival at LAX. 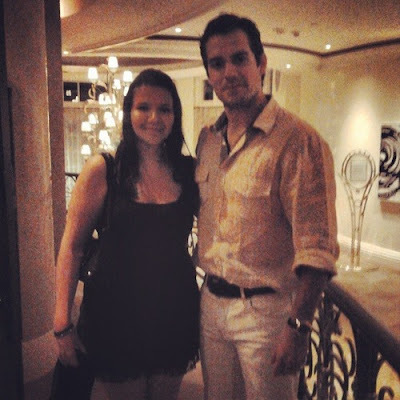 And while they said he pulled a Paris Hilton on fans lol.. if you watch the whole thing it was a pretty fair and balanced chat, and we can tell they really like Henry.. fanboys :) - Watch at their site or below. Henry's bit starts at about 24:00. 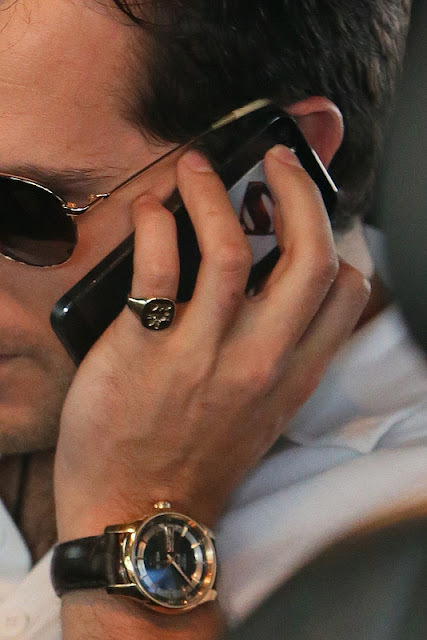 He has a SUPERMAN phone. How cool is that?! 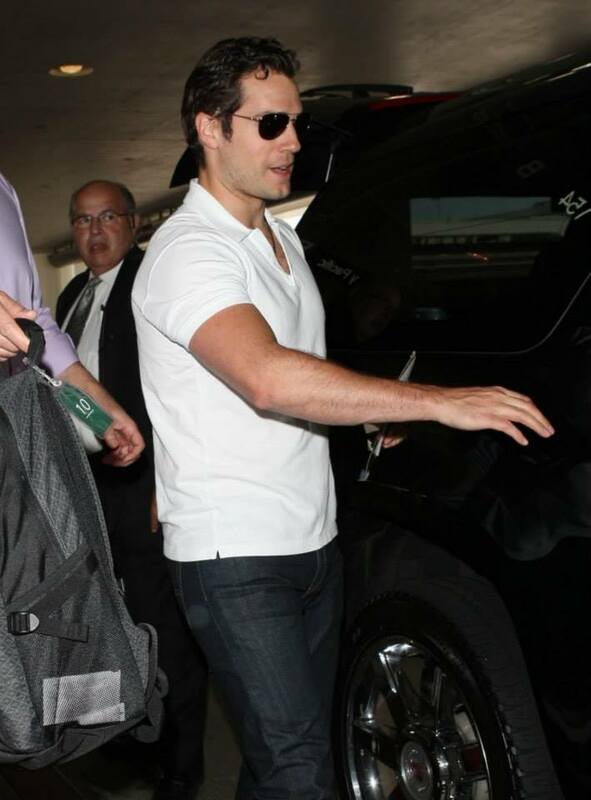 Henry is back in L.A. after riots in Brazil forced Warner Bros. to cancel his last Man of Steel promo tour stop this week. 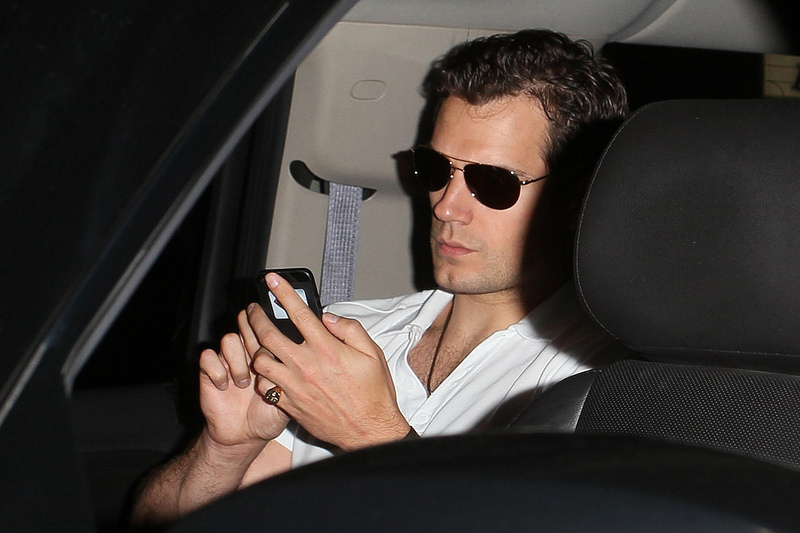 We're happy to have you back Henry, and look forward to The Man from U.N.C.L.E.